The Guardian: too much Apple coverage? 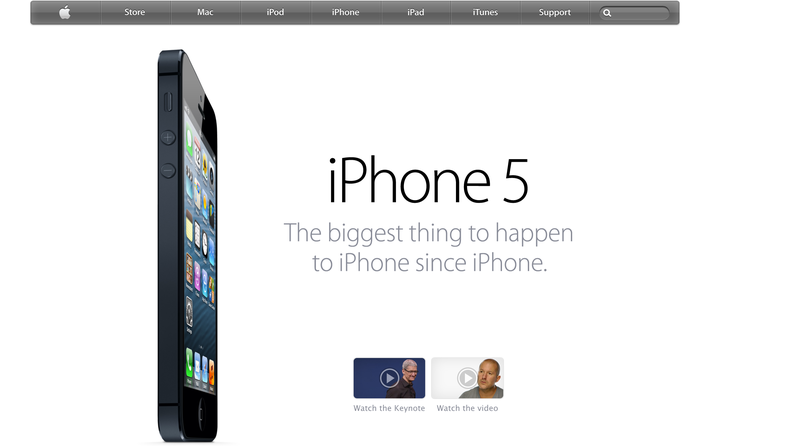 iPhone 5: does it get free and easy publicity from the media? Arthur was criticised heavily by readers last month for posting a 5 star review of the iPhone 5 that didn’t mention the flaws in the new Apple Maps app that replaced Google Maps in the iOS 6 operating system that powers the new phone. Arthur reassured readers who may be concerned about switching to the Apple app: “Don’t worry – it’s very good.” Within 24 hours, his colleague Juliette Garside reported ‘significant glitches’ in Apple Maps, including the disappearance of Stratford upon Avon, new airports and relocated towns. Charles wasn’t the only reporter to publish a glowing review that didn’t mention the maps fiasco. The Telegraph’s Shane Richmond wrote a similarly euphoric write up the same day. The challenge tech writers like Shane and Charles face is that readers and publishers demand an instant appraisal of new tech products. They don’t always get enough time to get under the skin of the latest phones and other devices. It was much the same with the last truly new iPhone model – the rumpus about the reception problems of the iPhone 4 (the predictably named ‘antennagate’) broke a couple of weeks after the launch, long after the glowing reviews had appeared. It’s hard to think of any other type of consumer product that provokes this kind of religious/cult style over-reaction. Do Ford car owners condemn Vauxhall or Mercedes owners as stupid for their choice of car? Or Canon devotees about Nikon users? It seems unlikely. My view is that Android and Apple phones are amazing devices. They offer features that we could only dream about five years ago – and are so much more user friendly than earlier smartphones. (Just try using a BlackBerry if you want to see how awful smartphones were before the iPhone.) iPhones are brilliant for people who want a simple yet powerful user experience but aren’t bothered about customising how everything works. Android is terrific for anyone who wants more flexibility – in handsets, software and customisation. You choose. The Guardian‘s technology editor Charles Arthur is an incisive observer of the tech business world. So it’s no surprise to discover that his book Digital Wars is a revealing account of Apple, Google and Microsoft’s battles for dominance in search, digital music and smartphones. The clearest message from the book is that the 2000s were a lost decade for Microsoft. At the time of the millennium, it seemed invulnerable. Its dominance of the PC software market for consumers and businesses made it a hugely powerful and profitable corporation. Windows and Office were huge money spinners. The biggest cloud was the anti-trust actions taken by the United States Department of Justice and the European Commission. By contrast, rivals seemed powerless to confront the Redmond juggernaut. Yet Arthur makes it clear that the anti-trust cases had a profound impact on Microsoft. In his words, the US case ‘reached down into the company’s soul’. Although Microsoft escaped the threat of being forced to split in two, Arthur quotes analyst Joe Wilcox’s verdict that the actions ‘hugely affected’ the way the company operated. ‘Microsoft was unequivocally less aggressive [and ] there was a lack of certainty and aggression in Microsoft’s response to Apple or other companies’. There were other factors at work. For Microsoft’s leaders at the turn of the millennium, the internet was something they got used to in mid career, rather than in their formative years at college. They were set in their offline ways, and had to adapt. By contrast, the pioneers at Google were starting out with instinctive understanding of the net, email and networking. Their business was built online. The other critical factor was the classic symptoms of bloated corporations: poor decisions and internal politics. Arthur explains how Microsoft blew the chance to compete with Google’s fast developing search and advertising business. It failed to buy Overture and even worse overlooked the fact it already owned a company called LinkExchange that enabled small advertisers to bid for their names to appear next to search results. (Exactly what Google was developing with AdWords.) Arthur recounts that Microsoft’s new chief executive Steve Ballmer closed the LinkExchange-based ‘Keywords’ project at just the time Google launched AdWords, because other Microsoft tribes feared it would cannibalise banner sales. Later, Microsoft ploughed countless millions into search, but the anti-trust actions cast a long shadow: building search into the browser would invite a repeat of those courtroom years. The smart alternative, embedding search into Office was the obvious way to go. But the boss of Office wasn’t interested. This story was repeated across the other battlefields: digital music (where Apple won the day) and smartphone systems (where Apple and Google, with its Android mobile operating system, shared the prizes). Commentators have pointed out that Microsoft is largely a business-to-business (B2B) culture. With a few exceptions (Xbox and 1990s triumphs like Encarta spring to mind), the company does not have a consumer outlook. By contrast, Apple has set a new standard in how technology should be designed for everyday people who aren’t geeks. My painful experience with Microsoft’s Pocket PC software persuaded me not to buy a Windows-based smartphone. (My Dell PDA was lovely, but the Windows OS was appalling. How could they make hooking up to wifi such a ghastly experience?) Many will have the same view, yet by all accounts the latest Windows Phone system is a delight. Microsoft’s problem is that so many people have now fallen in love with Apple’s iPhone or Google Android-based phones. Switching will be hard. It would be foolish to write off Microsoft. Or to assume that Google or Apple are invulnerable. (That’s where we came in – when Microsoft was all-conquering.) The one rule of the tech world is that no-one rules forever. The next chapter of this story will be just as compelling.